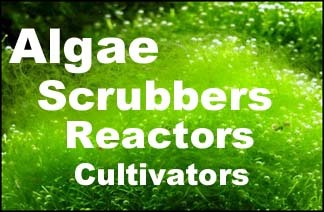 Whole scrubber. (I've concentrated the bubbles to the left chamber). Pods are probably keeping the growth from growing at the bottom. And, the dark turf is stopping green hare from attaching at the top.